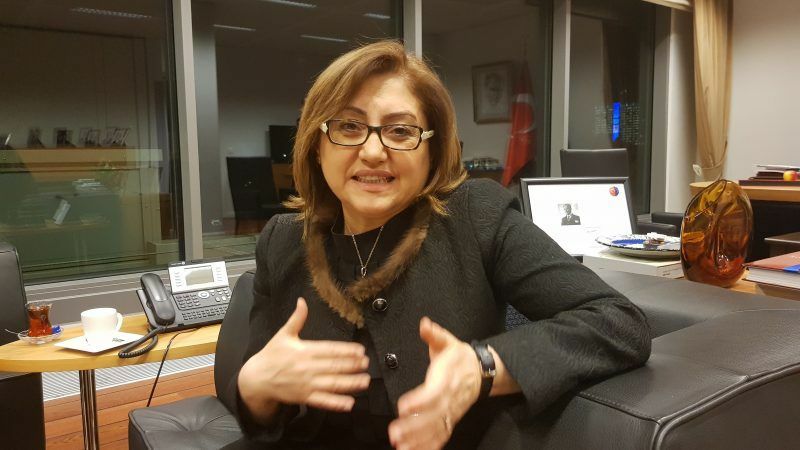 The European Union “doesn’t understand Turkey” and does not deliver what it has promised in terms of aid to the refugees from Syria, Fatma Şahin, the mayor of the Turkish city of Gaziantep, told EURACTIV in an exclusive interview. Şahin is a Turkish chemical engineer and politician. She entered politics together with her husband İzzet Şahin and co-founded the Justice and Development Party. Following the 2011 general elections, she became the only female minister in the third cabinet of Prime Minister Recep Tayyip Erdoğan. In the 2014 local elections, Şahin was elected mayor of Gaziantep. She was one of the nominees for the 2016 Nobel Peace Prize for her role in helping Syrian refugees. On Wednesday (24 January), she met in Brussels with Commissioners Dimitris Avramopoulos (responsible for migration) and Christos Stylianides (humanitarian aid) and addressed the LIBE Committee of the European Parliament. In the interview, Şahin voiced frustration at the way the EU delivers on its commitments. “A stronger support mechanism should be in place in order to lift a part of the burden from Turkey and Gaziantep”, she said, speaking through a translator. She explained that Gaziantep is a city of two million people, plus 500,000 refugees, located in Turkey’s southeastern Anatolia region, only 97 kilometres north of Aleppo, Syria. The mayor made reference to the EU-Turkey agreement from February 2016, which includes a €3-billion fund for Turkey, saying that her country had become “insurance” for Europe and the world. European Union countries approved yesterday (3 February) funds for Turkey to help refugees and migrants in the country in exchange for Ankara ensuring fewer of them venture out towards Europe. “People would be drowning in the sea, or illegal migration would be flowing into Europe if it wasn’t for this agreement. On an annual basis, 2.5 million people would be flowing into Europe, but for this agreement”, she said, stressing that Turkey had kept its part of the deal. She also said that before the agreement, 7,000 illegal migrants were crossing daily from the Turkish shores to the Greek islands, while today the number has dropped to 70. Şahin said the EU had sent only a half of the first tranche of €3 billion promised to Turkey, and that the money wasn’t sent “through the right channels”. Asked to elaborate and specify figures, she got help from a Turkish diplomat who accompanied her. 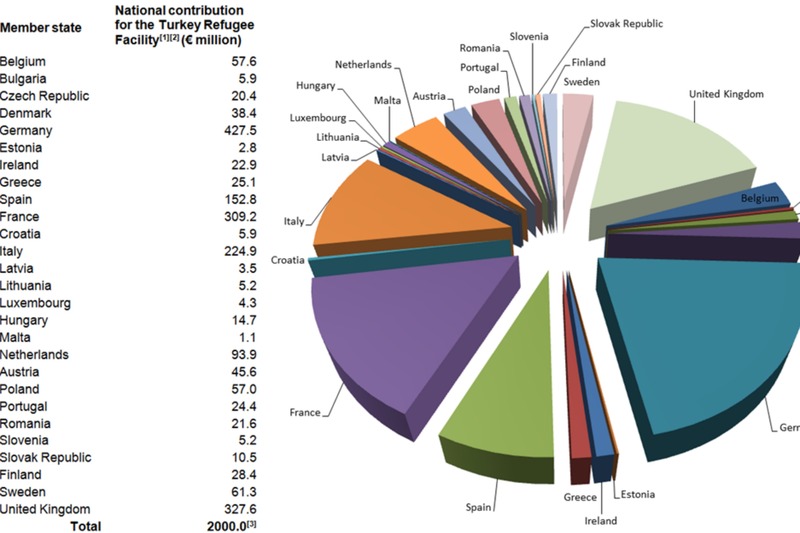 He said that that the updated figure of the EU money actually disbursed was €1.8 billion. “They said €3 billion but they contracted €2.8 billion, 0.2 billion is gone, I don’t know where, and then €1.8 billion was spent, mostly by NGOs approved by the EU”, the diplomat said. EURACTIV told the interlocutors that this was how the EU worked in the humanitarian field but the diplomat said that “this is why it takes too long” for the aid to reach the refugees. Şahin also said when money was channelled through NGOs the process was too slow and some of the funding was deducted to cover their costs (she mentioned 15-20%). The mayor argued that 500,000 refugees for her city required more water, more infrastructure and more cleaning services, but there was no direct support for this. “We had meetings with the commissioners today and they said this was a very rightful request from the local governments, and that from the second tranche of the money this is going to be evaluated”, she said. Turkey expects the second tranche of another €3 billion. The mayor criticised the EU’s way of providing direct cash support to refugees via banking cards. She said this way of providing assistance was not efficient and stressed that, in Turkey’s experience, it makes more sense to make assistance conditional. As an example, she said women refugees are asked to take part in vocational training or send their children to school. “If you give them cash directly, it doesn’t solve their real problems”, she said and added: “Rather than this card system, people should be channelled to different programmes, different segments of the refugee populations should be channelled to different projects, this is how we’ve done it for our local people for many years”..
Şahin argued that her country knew better what is needed because its officials were on the ground and were listening to what people were saying. The results of such activity were measured via efficiency analyses. “If they (Brussels) trust our experience, this model is going to be more efficient”, she said. Asked if she was satisfied by the response of her interlocutors in Brussels, the mayor said both Avramopoulos and Stylianides had committed to come to Gaziantep and see the situation for themselves. 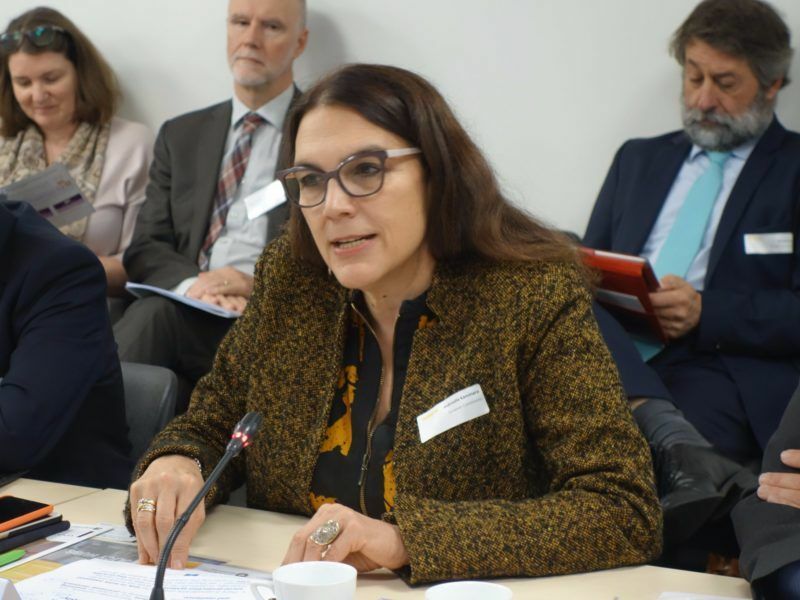 She quoted MEP Ana Gomes (S&D, Portugal), who had visited her city and said at the parliamentary meeting yesterday that “Europe should take Gaziantep as a model”. you are part of an authoritarian, religious driven government and your presence and support of that government, as the only woman, actually reinforces the backward looking leadership and the policies you have in place.